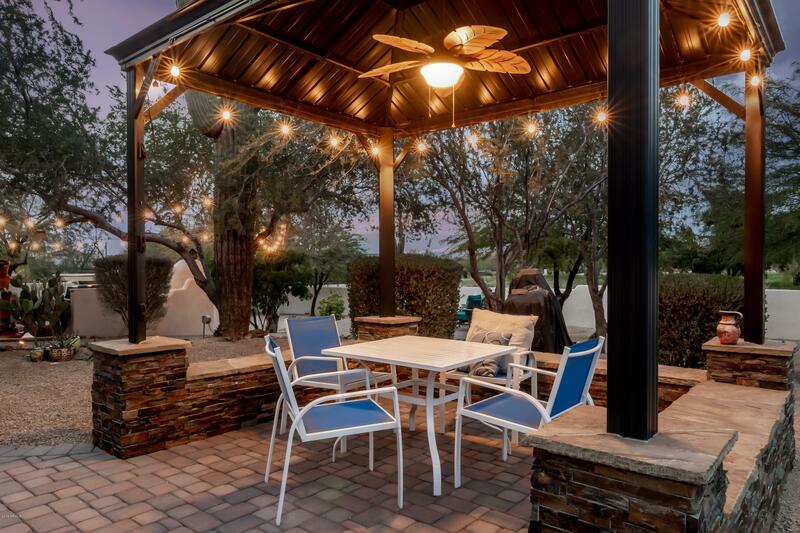 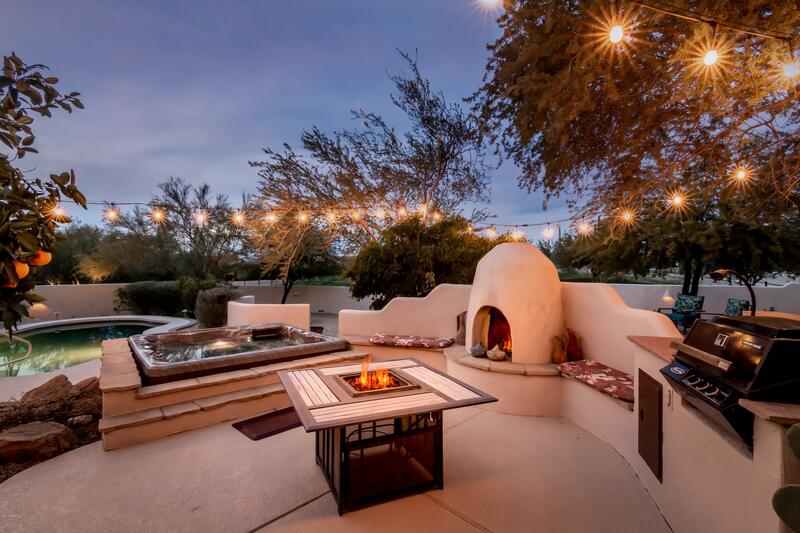 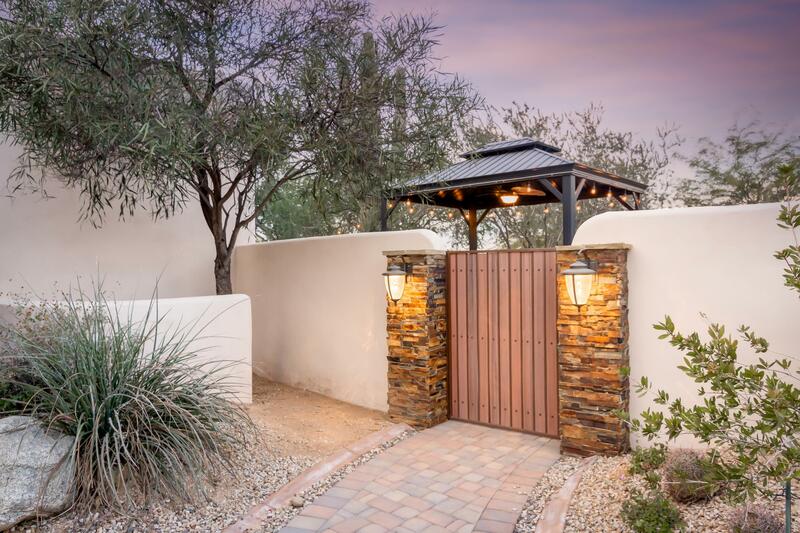 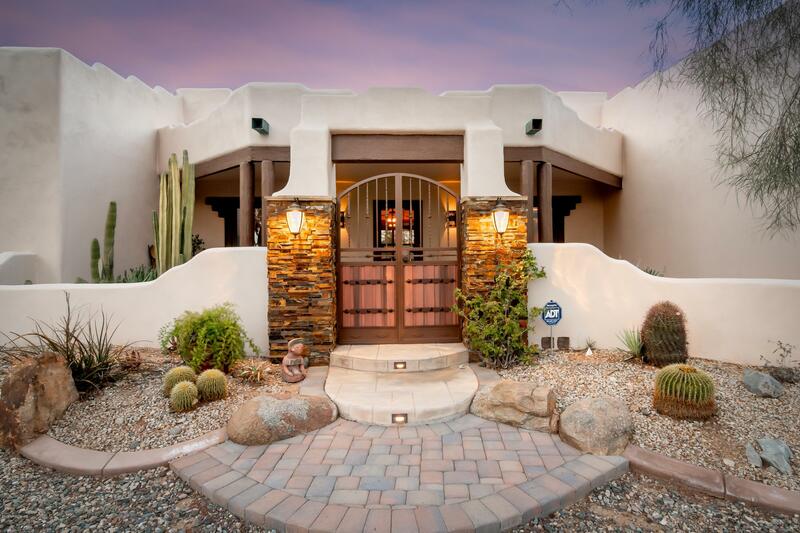 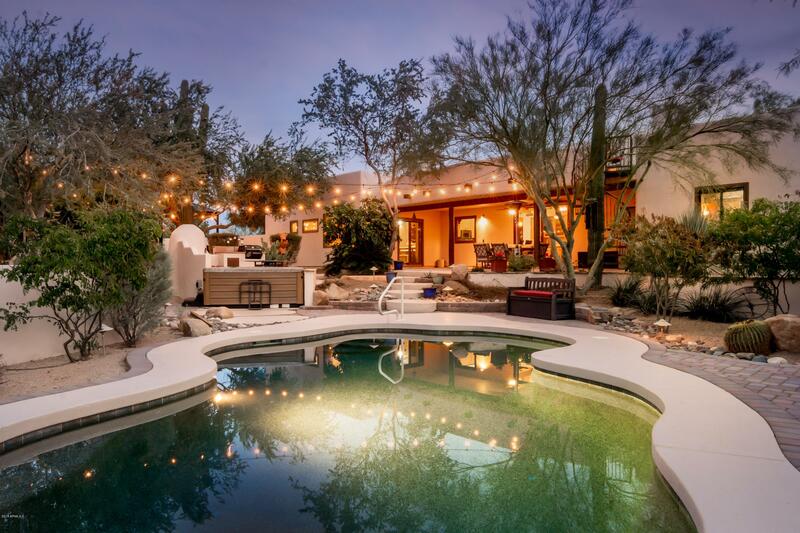 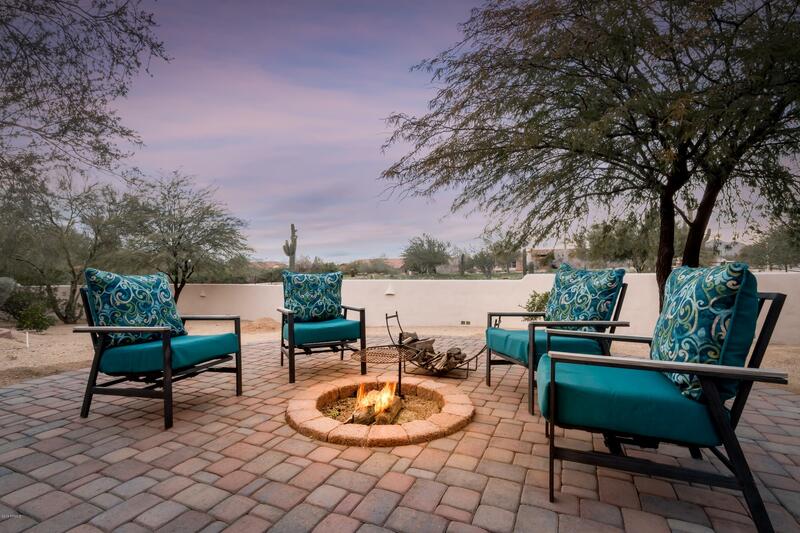 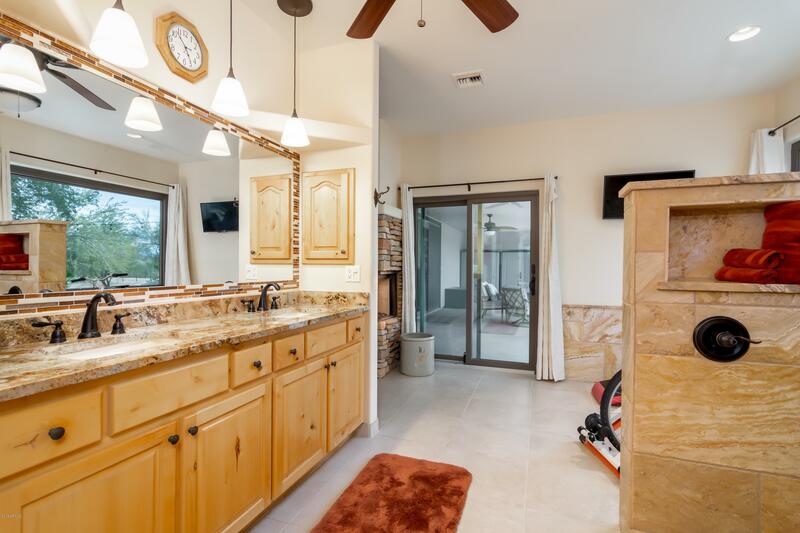 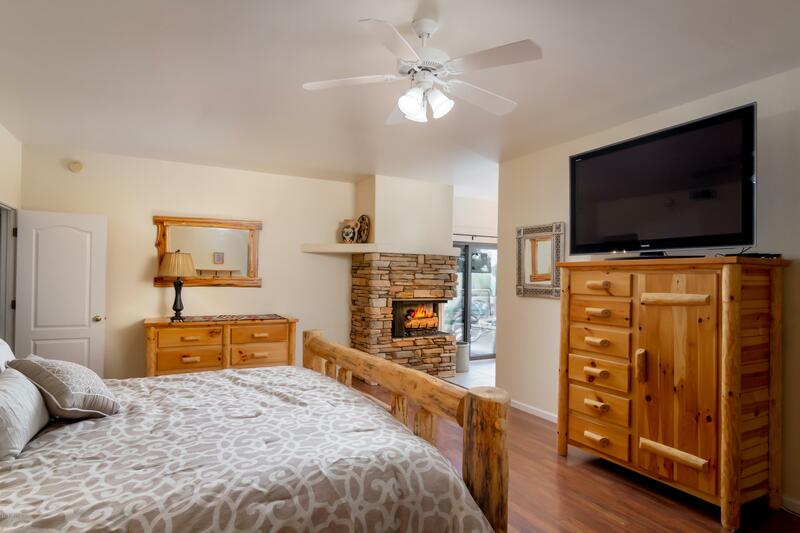 The perfect Arizona retreat with backyard sanctuary featuring covered patio, salt water pebble tech pool, new spa, outdoor fireplace, firepit, BBQ, gazebo, mature trees and mountain views. 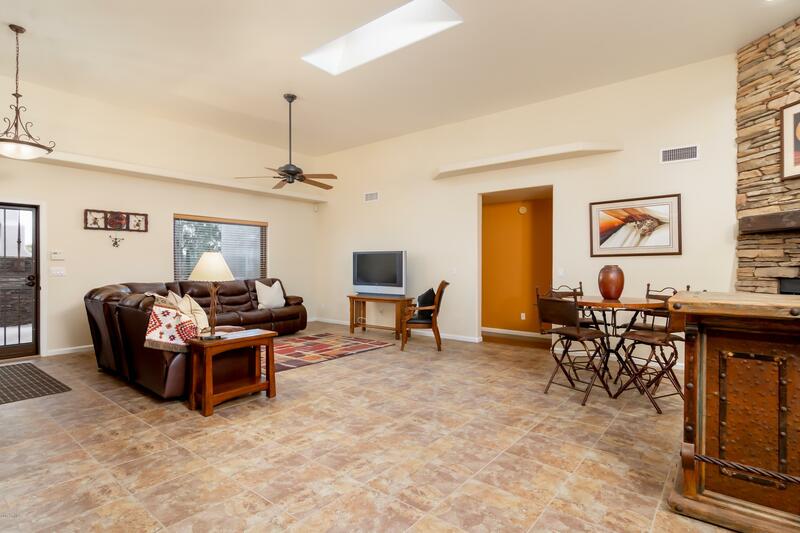 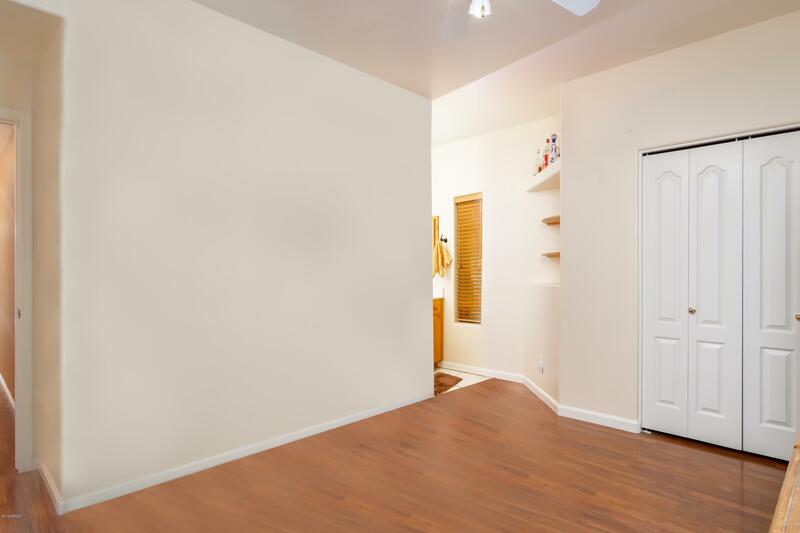 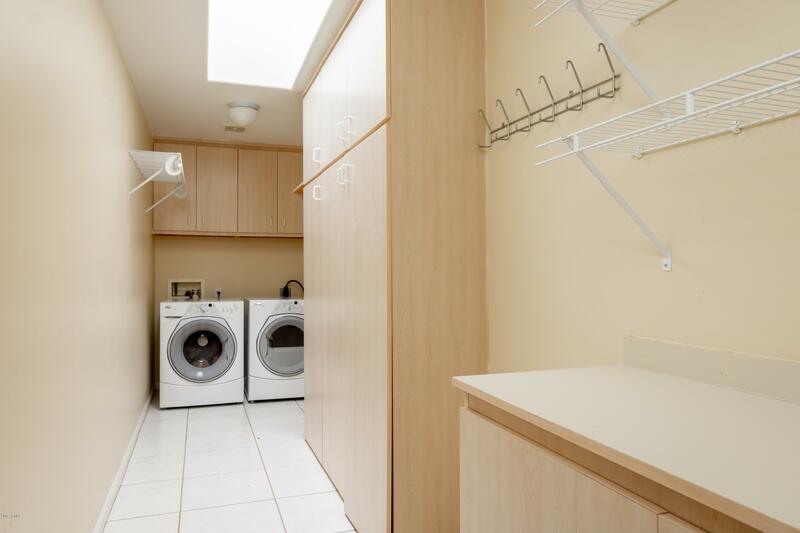 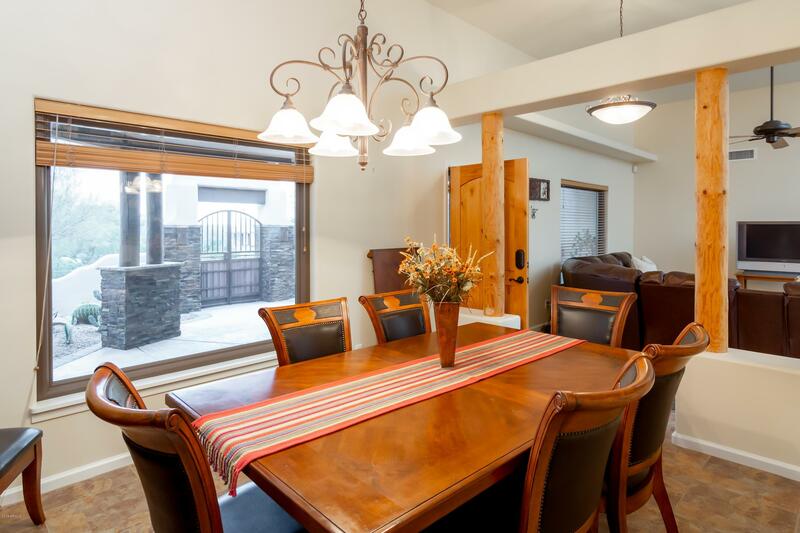 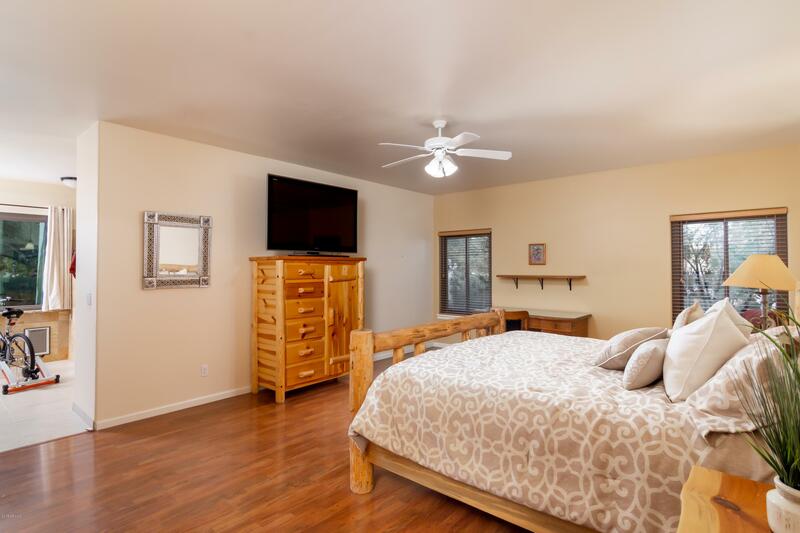 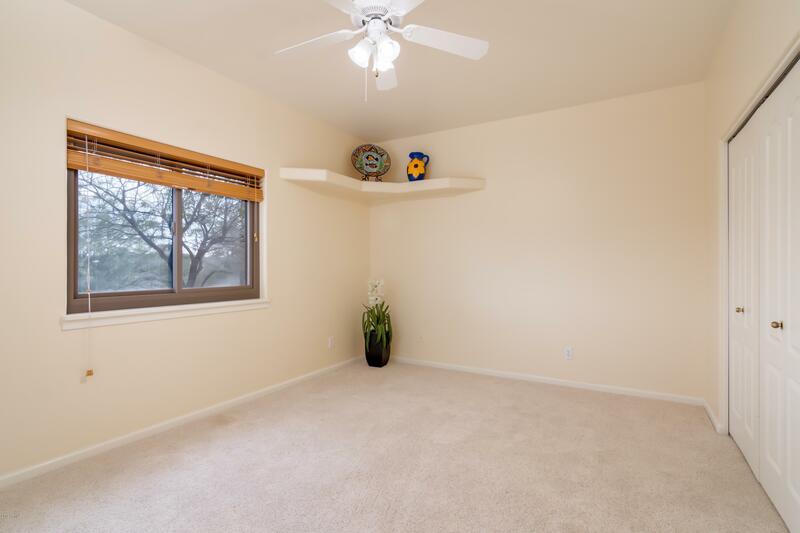 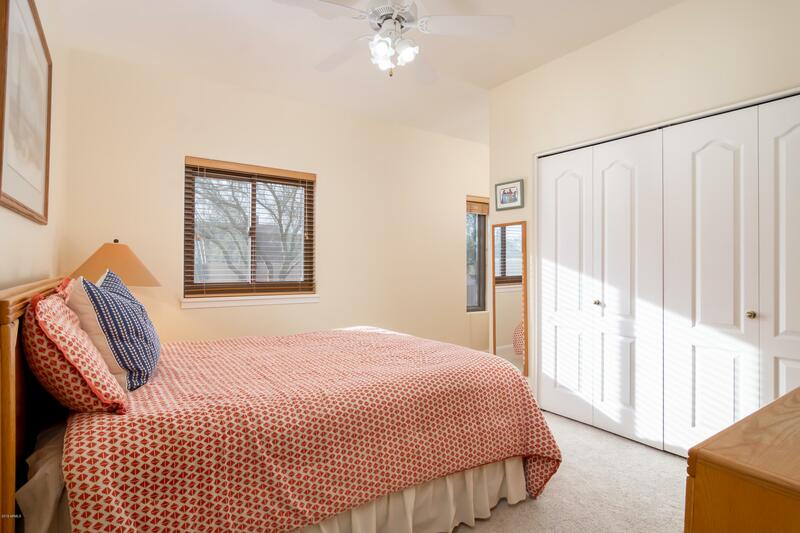 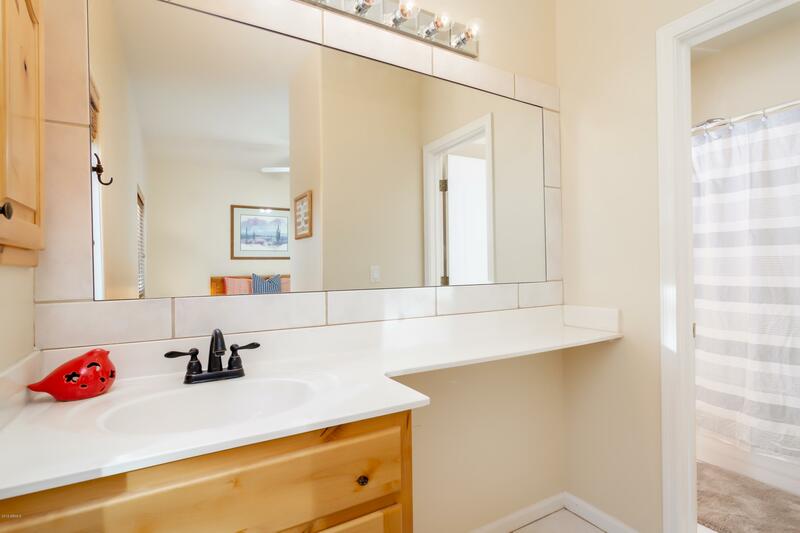 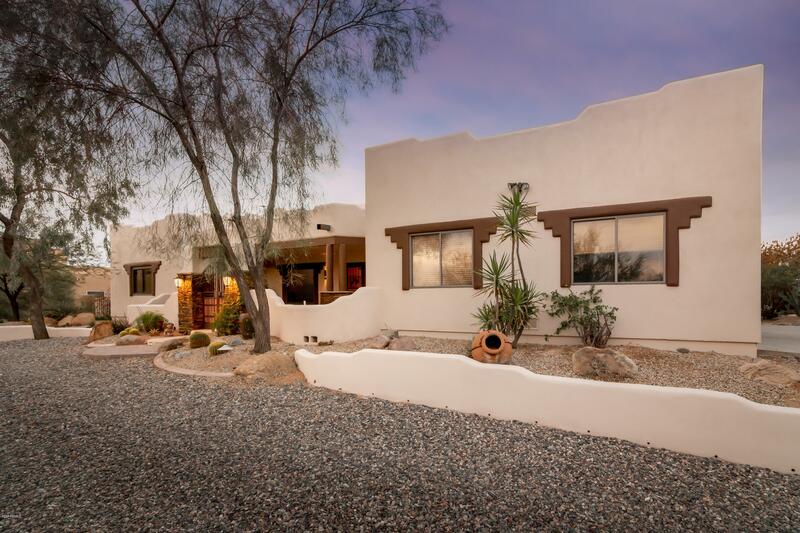 Charming territorial style home with quaint entry gate that opens to covered front courtyard patio. 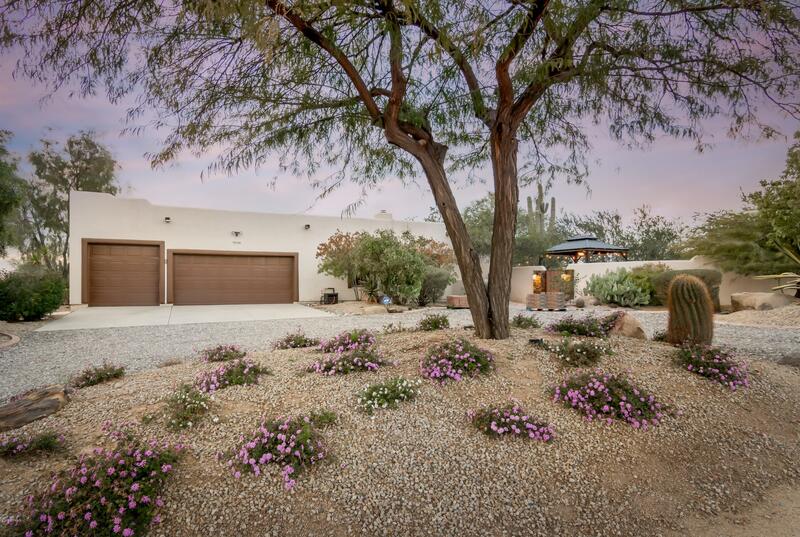 Front of home faces S and is completely private with circular drive. 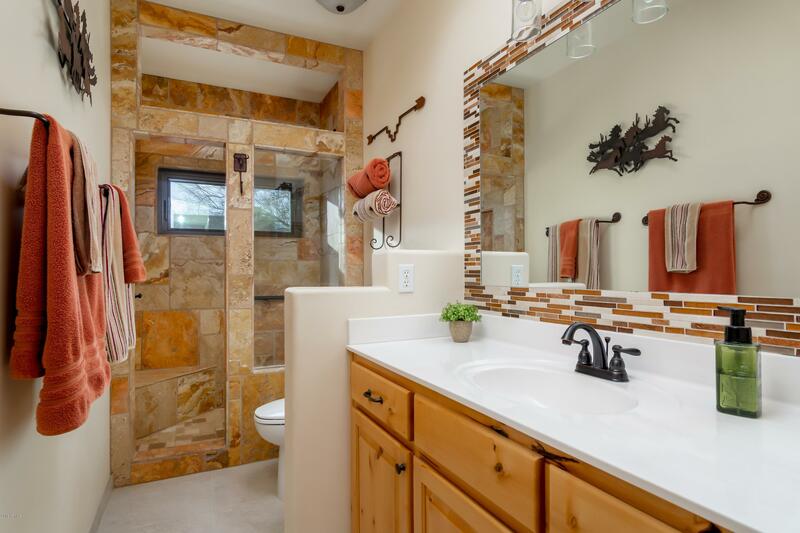 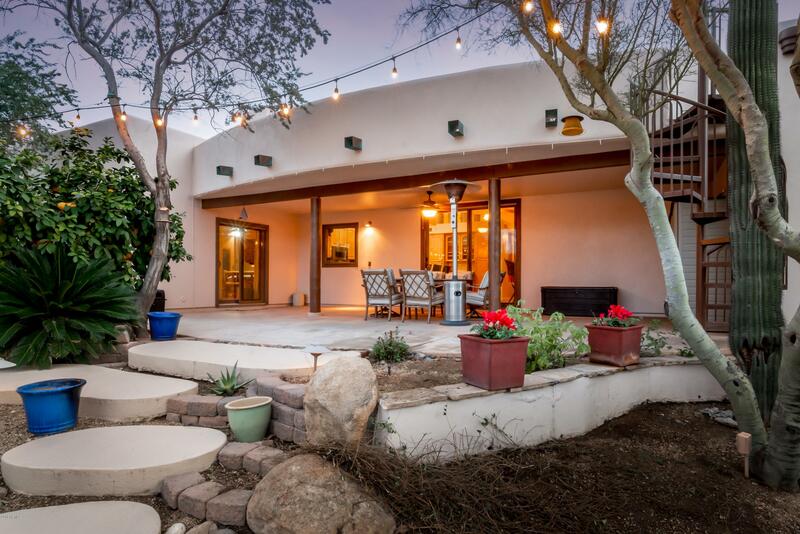 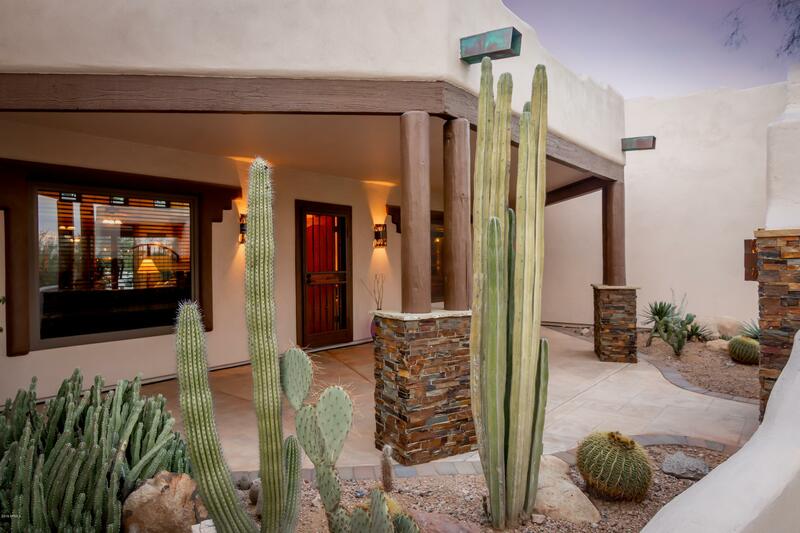 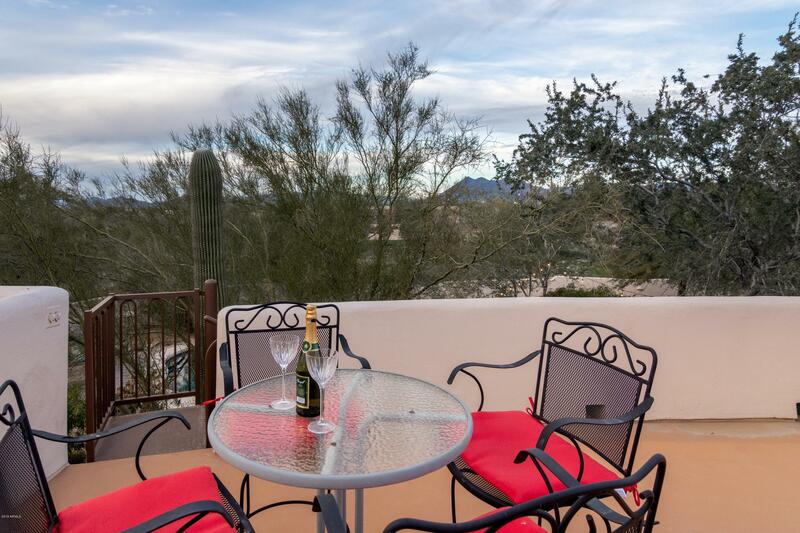 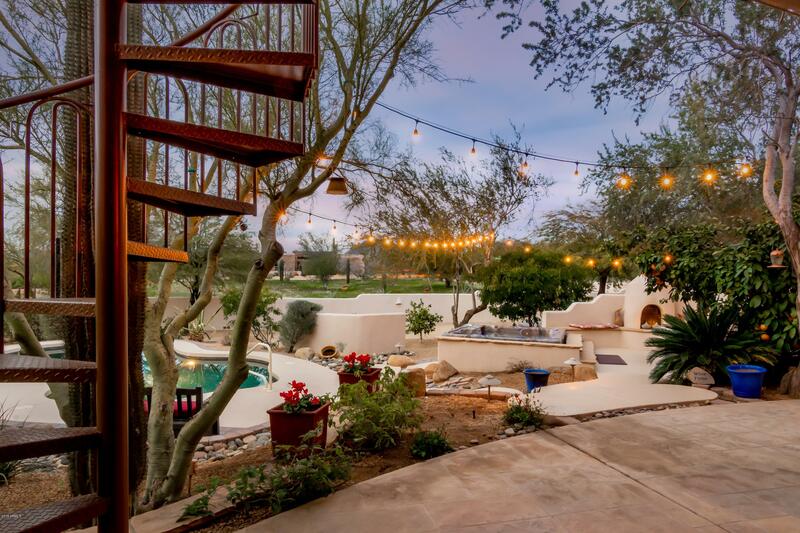 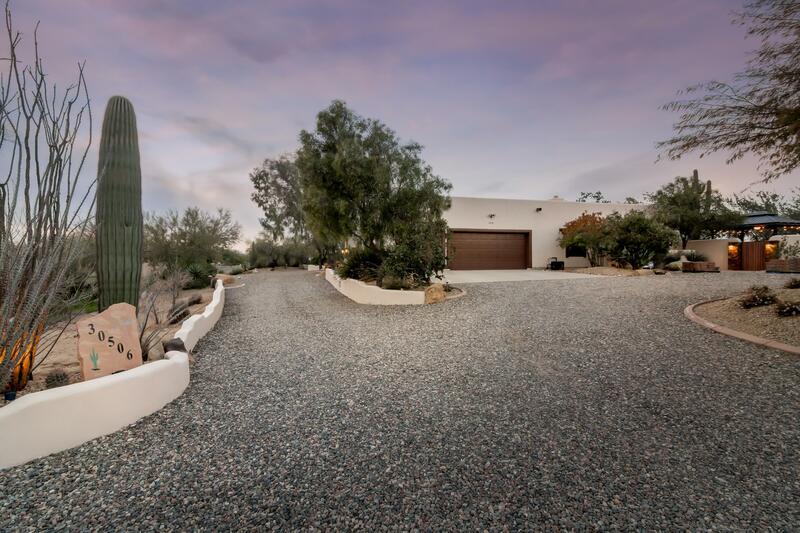 This 1.3 acre lot surrounded by natural desert and magnificent saguaro cactus. 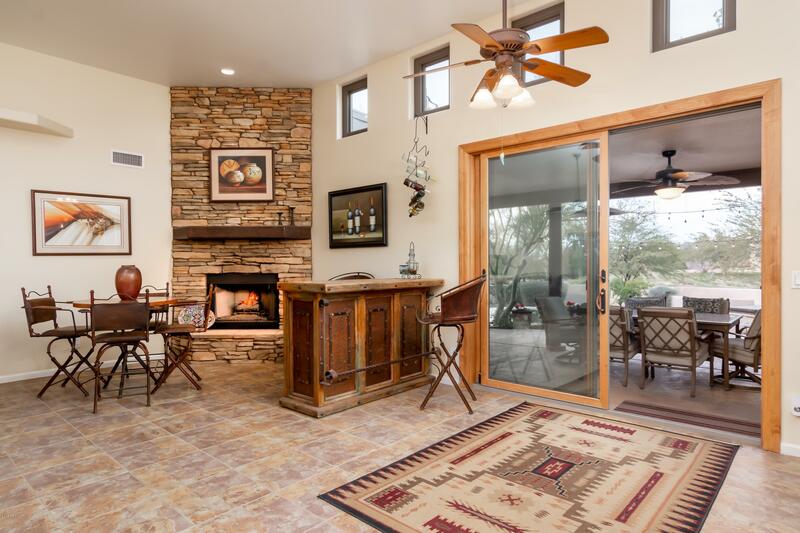 Natural light in the great room highlights stacked stone fireplace, gourmet kitchen and formal dining room. 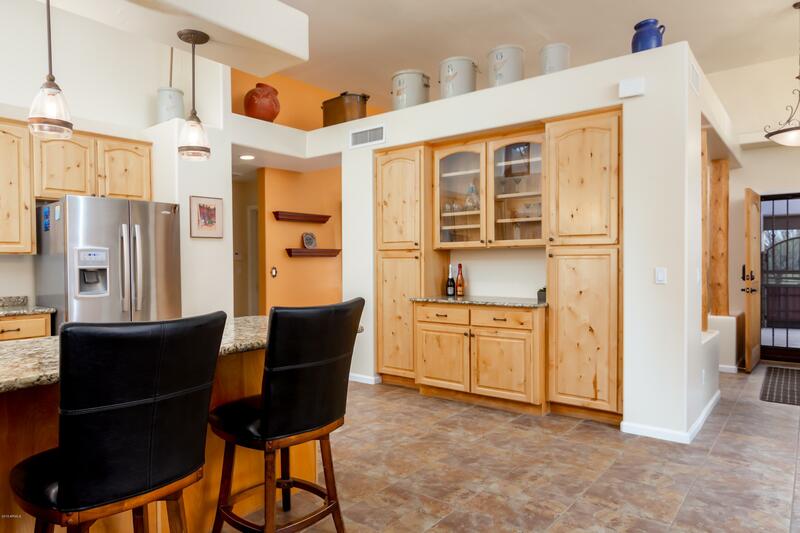 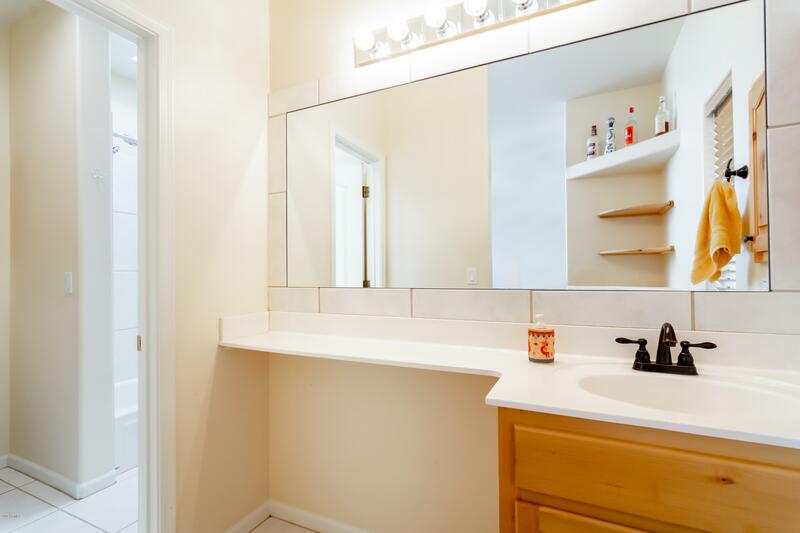 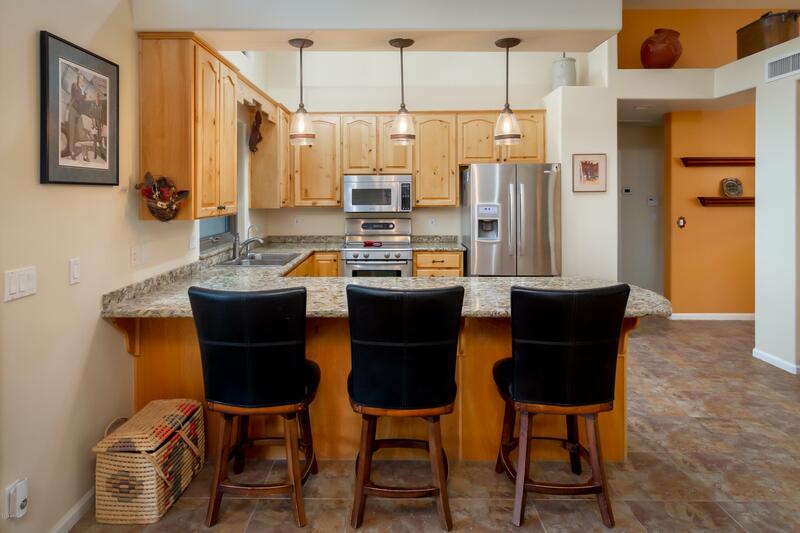 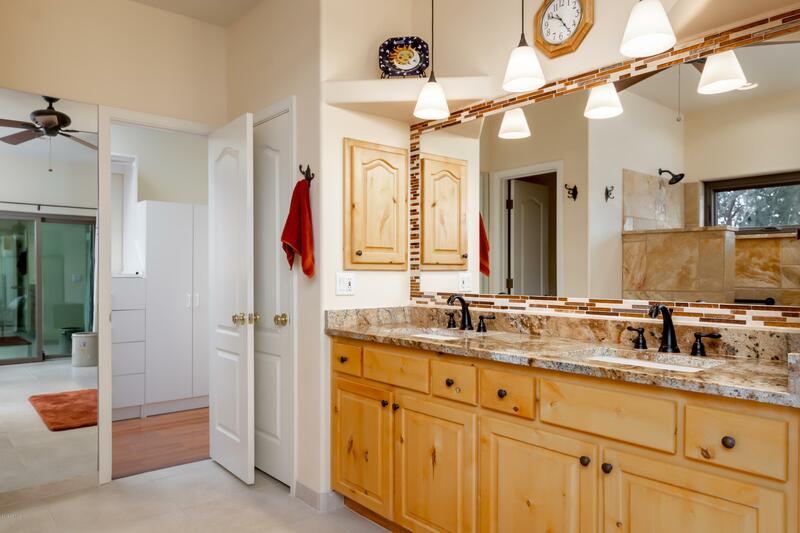 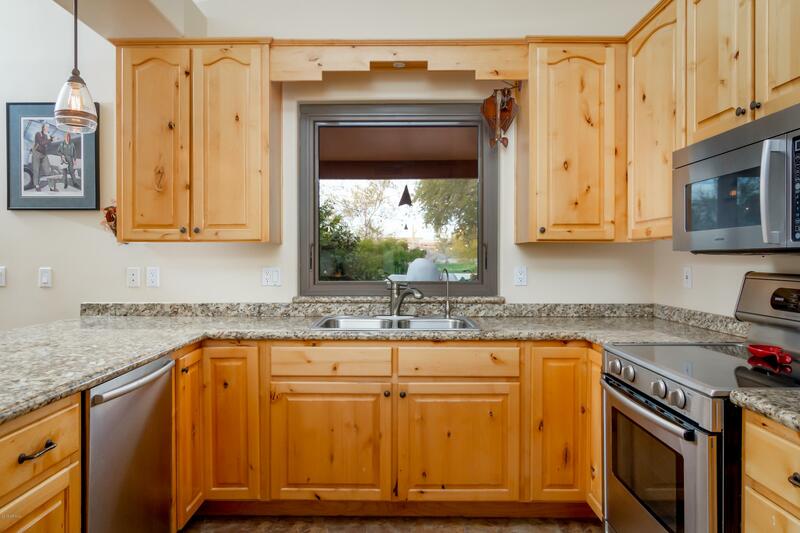 Kitchen also offers granite counter tops with built in bar. 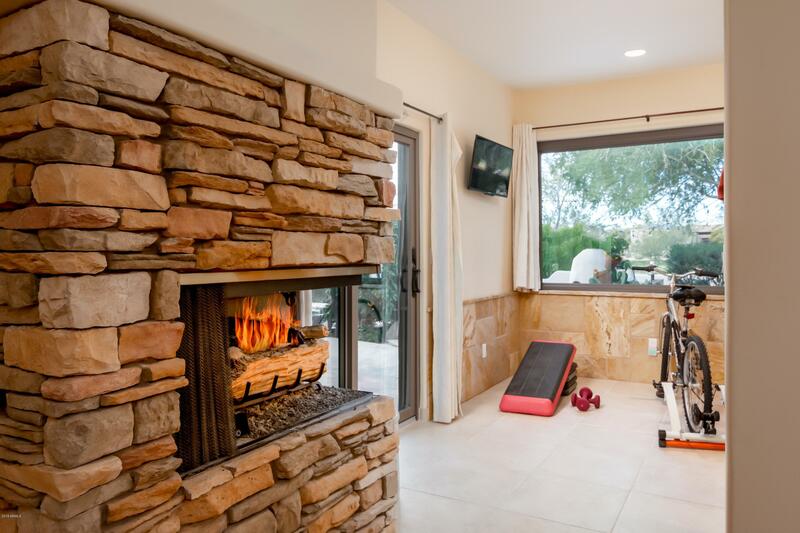 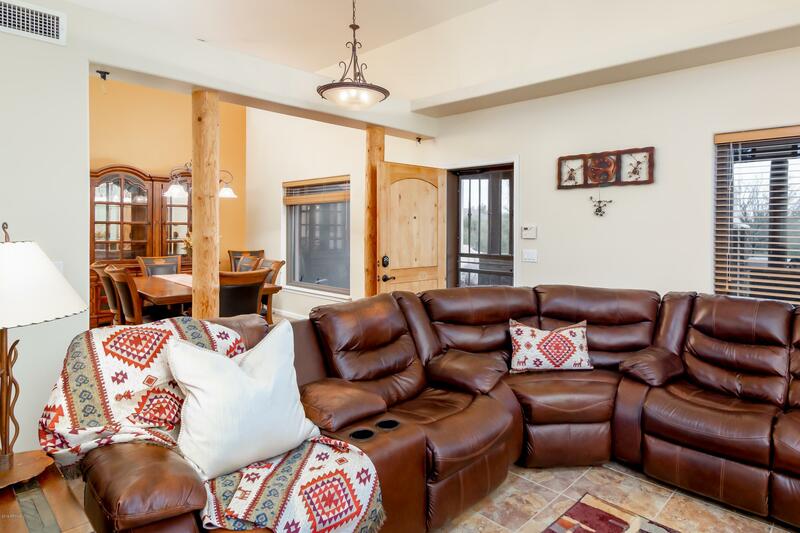 Over-sized master retreat features stacked stone fireplace with separate door to backyard sanctuary, beautifully remodeled travertine shower, skylight, and new windows from Renewal by Anderson.